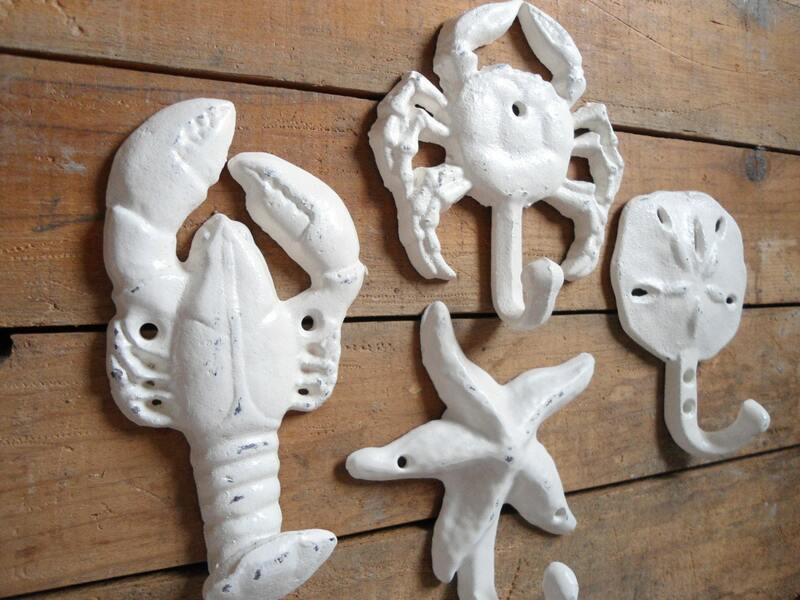 We offer just the plain UNMOUNTED hooks, painted by us, for those who don't want to purchase them already mounted on a painted board or reclaimed oak~if you'd like yours mounted on reclaimed wood, or painted wood, see the listings I have for 3 4 and 5 mounted on wood. 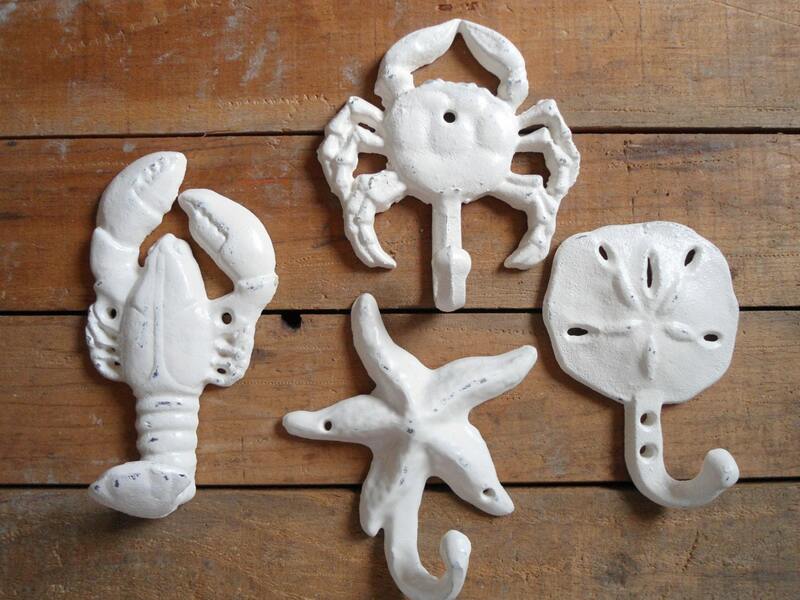 These are perfect for beach decor, or year round practical use, as well as your whimsical indulgence~ Or, give one as a hostess gift to the person who let you use their beach house, cottage, or condo. The neutral cream color goes with any decor. All you need is 2 nails, and you're ready to decorate~ hang towels in your guest bath or powder room, or necklaces or scarves in your master suite, or even keys by the front door. 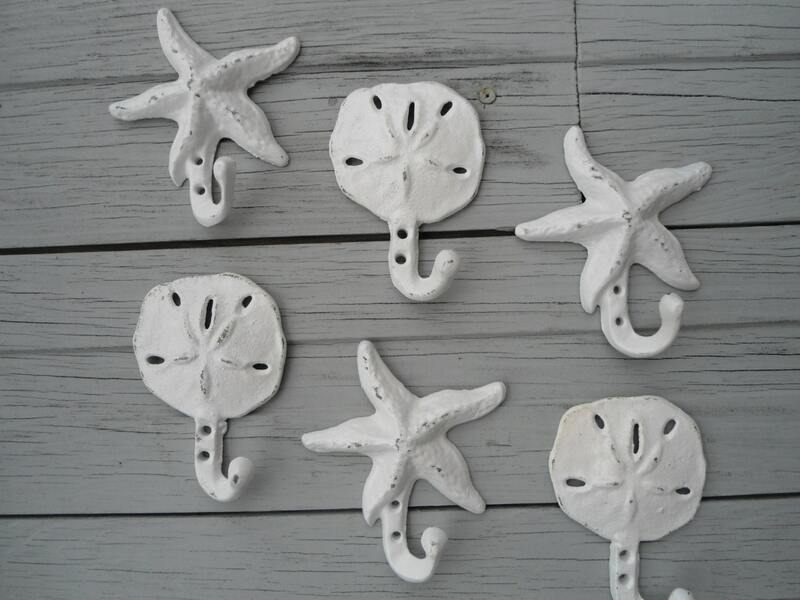 Your starfish hanger measures approximately 4" x 4", and will be carefully packaged and shipped in the small priority box, arriving 2-3 business days after I ship it. Please allow about 1-2 weeks before shipment once you pay in order for me to get yours painted. 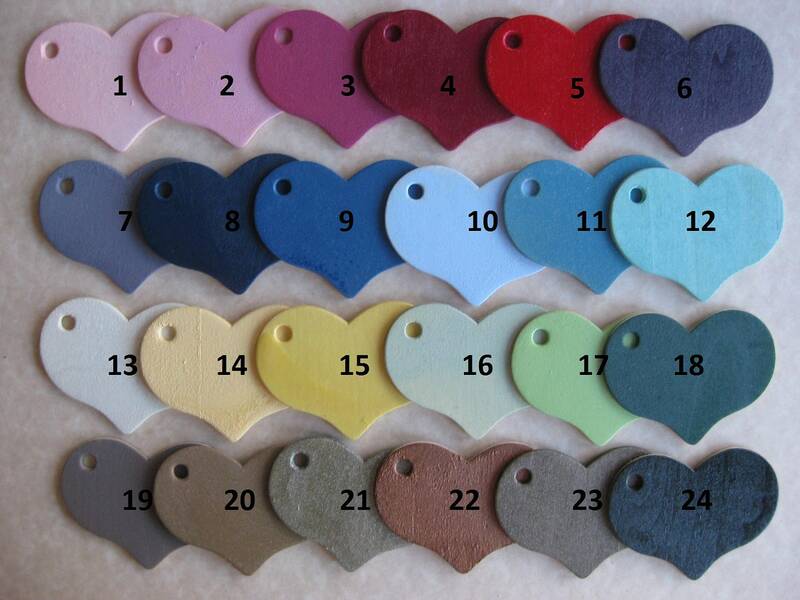 3. do you want your hooks distressed? We can't start your order until you let us know colosr. Also let us know if you want yours distressed or not please. Customized as requested. Thanks ! 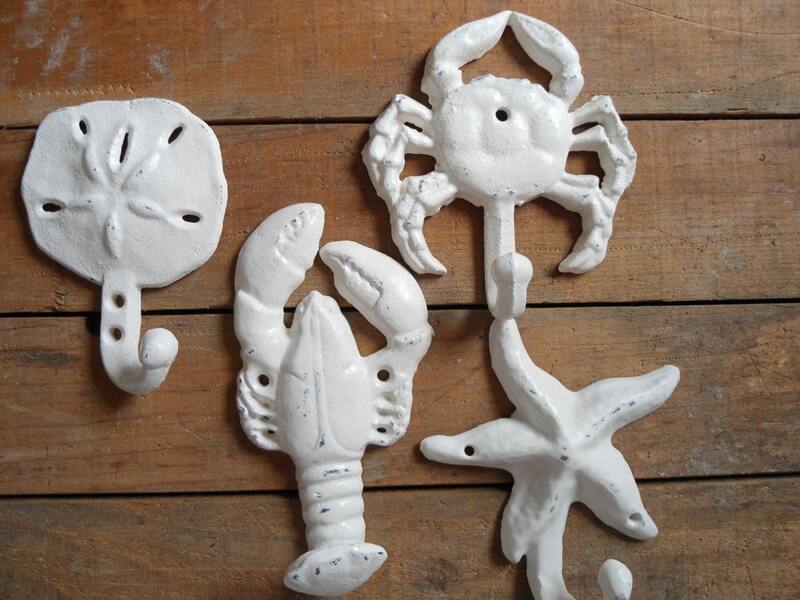 Beautiful, fun, quirky wall hooks for my outdoor shower at the beach. Heavy duty and exactly as described. Can't wait to hang them! Very happy with my purchase, thank you.